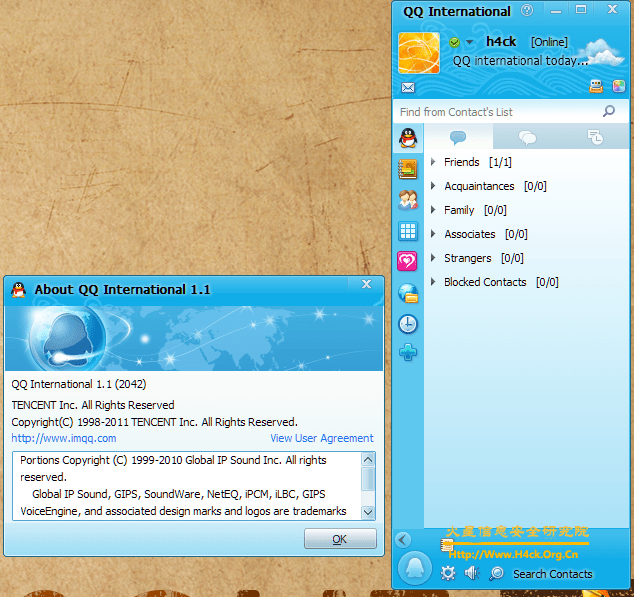 QQ international v1.1 has been released for several days,till now i release my first patch .In now days i am too busy to do my personal jobs,so it takes so a long time. What worse is that i just catch a cold when i visit Gulangyu.so bad luky. lol, just click here to download the patch ,and then place the file in “QQIntl\Bin” directory.Finally u can run the program and click the patch button to patch the selfcheck function. Any questions just leave me a message.